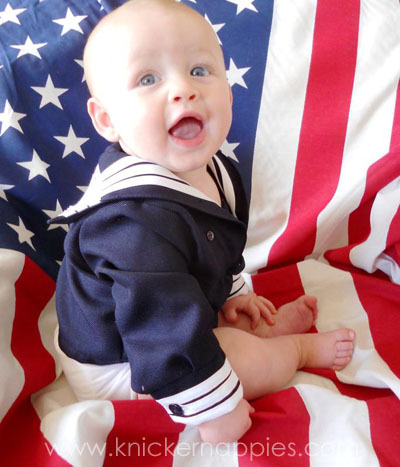 Thanks so much to everyone for participating in our 4th of July Photo Contest! We hope you all had a fabulous holiday weekend and we thank you for sharing your photos with us. They were all great entries and it was super hard to choose, they were all so cute! 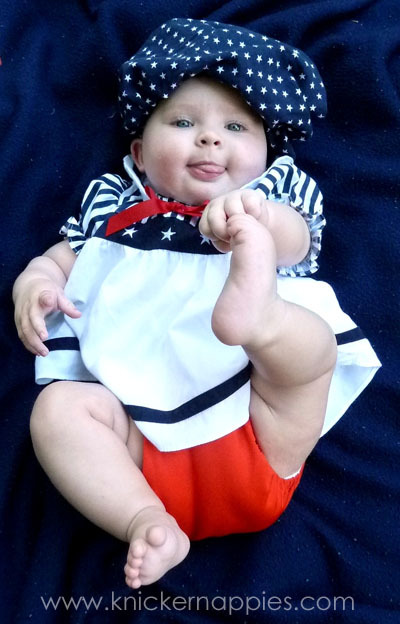 We chose three winners who will each receive a Knickernappies Custom Fit Diaper in red, white or blue. We also chose one runner up who will receive a SuperDo Insert! Congrats to our lucky winners. Please look for an email from us in the next day or two requesting your color choice, size and shipping details. We're excited too! Wanna know something funny about the hat (in picture #3)? Those are the bloomers to her dress. When I took it off to show off the diaper, it seemed like a waste of such cute and coordinating material...so we used it as a hat.